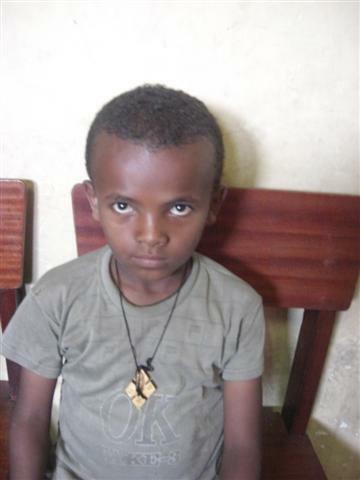 This thin little boy in Ethiopia really could use your sponsorship to be happy and healthy, and to recieve the medical treatment he requires. He was identified by the local Ethiopian authorities as highly at risk and in need of support. Please consider sponsoring him through our House 2 House program. You can make all the difference in the world for this little boy from Ethiopia. With your House 2 House sponsorship, he will receive adequate food, shelter, access to education and medical care. Most of the children in this program are affected by HIV/AIDS, and many have lost their parents to the disease. Make a difference for this deserving child. #4 Select “Community Child Sponsorship” in the Fund area, and type CM047 in the Message area. #5 Complete your monthly donation. You will receive your tax receipts directly from CanadaHelps. Please click the button that shares your name, address and email with the charity, as we really want to know who you are and be able to send you updates on the child and newsletters! What a cutester! 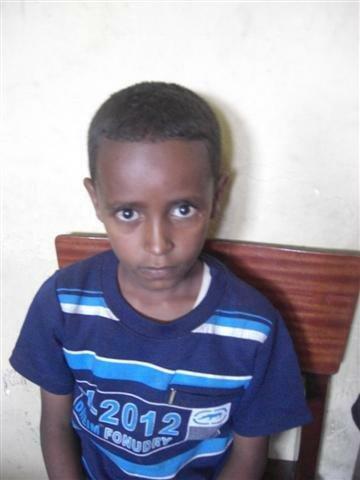 This little boy in Ethiopia was identified by the local Ethiopian authorities as highly at risk and in need of support. He really could use your sponsorship to be happy and healthy, and to recieve the medical treatment he requires. Please consider sponsoring him through our House 2 House program. #4 Select “Community Child Sponsorship” in the Fund area, and type CM048 in the Message area. This solom little guy need your sponsorship to put a smile on his face! With your support, he will be able to get good food, medicine, and go to school. Our partner organization has met this little guy and has told us he really could use your sponsorship to be happy and healthy. He was identified by the local Ethiopian authorities as highly at risk and in need of support. Please consider sponsoring him through our House 2 House program. #4 Select “Community Child Sponsorship” in the Fund area, and type CM046 in the Message area. This thirteen year old girl does her best to take care of her ten year old brother. but it isn’t easy when they have to fend for themselves and live with extended family. You could help them both my sponsoring this family so the kids can be kids – go to school and have their medical other needs taken care of. Please consider sponsoring her through our House 2 House program. You can make all the difference in the world for this teen girl and her brother from Ethiopia. With your House 2 House sponsorship, they will receive adequate food, shelter, access to education and medical care. Most of the children in this program are affected by HIV/AIDS, and many have lost their parents to the disease. Make a difference for these deserving children. #4 Select “Community Family Sponsorship” in the Fund area, and type FM008 in the Message area. Yesterday we received word that Vulnerable Children Society’s second round of food aid was distributed by our wonderful partner, Faya Orphanage. The impact was even greater than we anticipated. 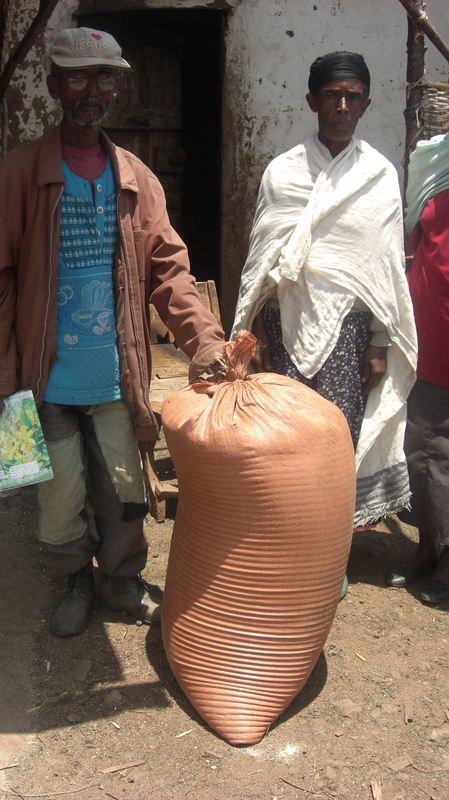 According to the House 2 House program director Sintayehu Habtemariam, 66 families received bags of tef. These families included a minimum of 275 children. Additionally, 45 students received school materials to start the year off right, and 30 of those students also received some food. The pictures that follow show people recieving food aid in one area and children with their school materials another area. The lineups went into the evening, but the distribution was calm and organized. Than you so much to our wonderful donors who made this drought relief work possible. We are truly grateful.